Join the Region 2 Public Health Training Center for their May Log-in2Learn live webinar. 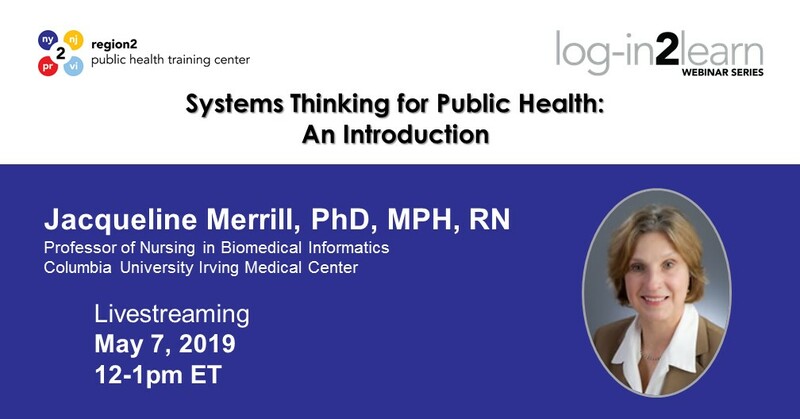 Participants will learn introductory systems thinking topics and tools from Jacqueline Merrill, PhD, MPH, RN, Professor of Nursing in Biomedical Informatics at Columbia University Irving Medical Center. Register at https://tinyurl.com/May2019-L2L before May 7th to participate.